MONTHLY photos contributed by our members for February - 2019. 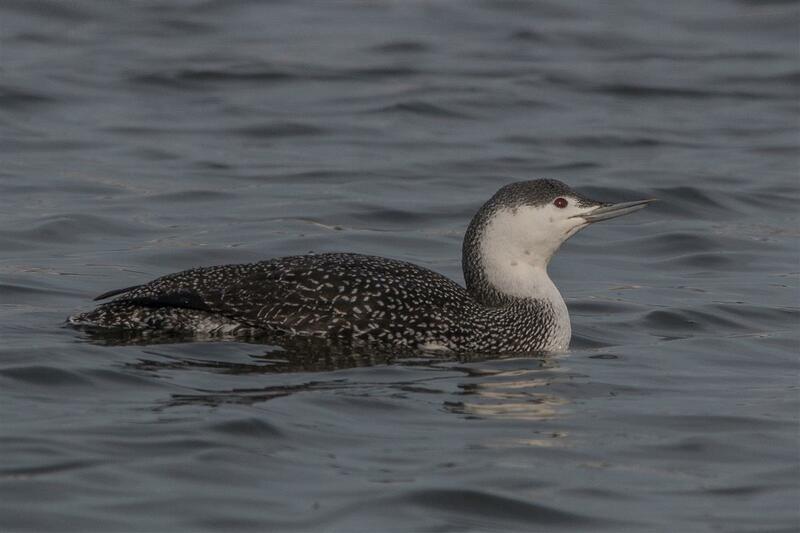 This Red-throated Loon was swimming between the Olcott piers and into the marina on the 4th, making for some very close and enjoyable viewing. 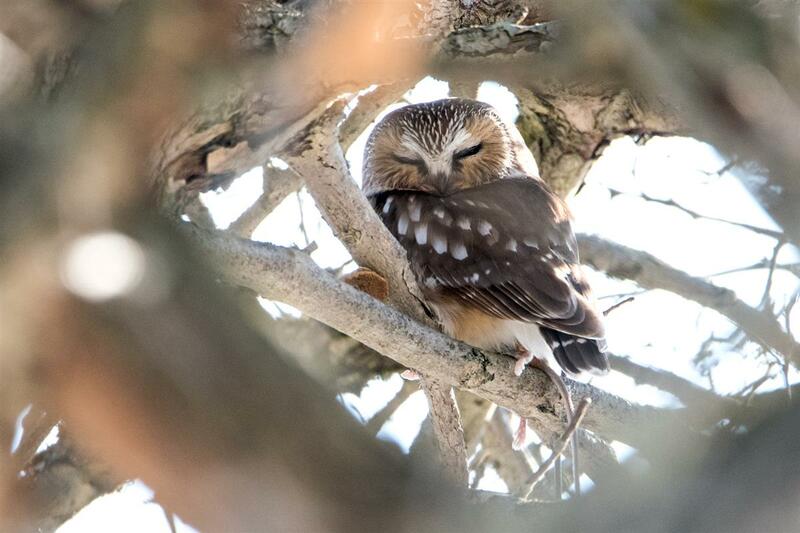 A very tolerant Northern Saw-whet Owl is being enjoyed by many in Cheektowaga. Notice the rodent underneath him; he's eating well! 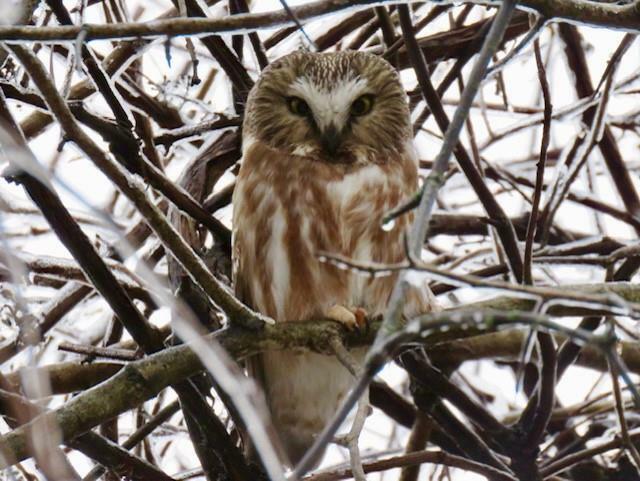 On February 7, this Saw-whet Owl was discovered and photographed by Humann at Buckhorn Island SP on Grand Island. 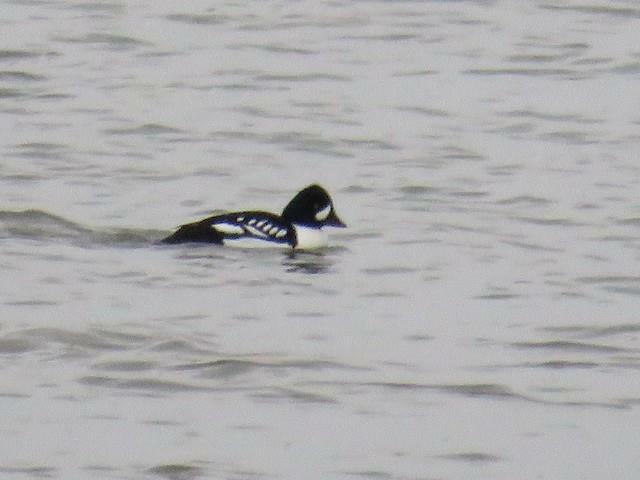 This makes two Saw-whets found in WNY this week! 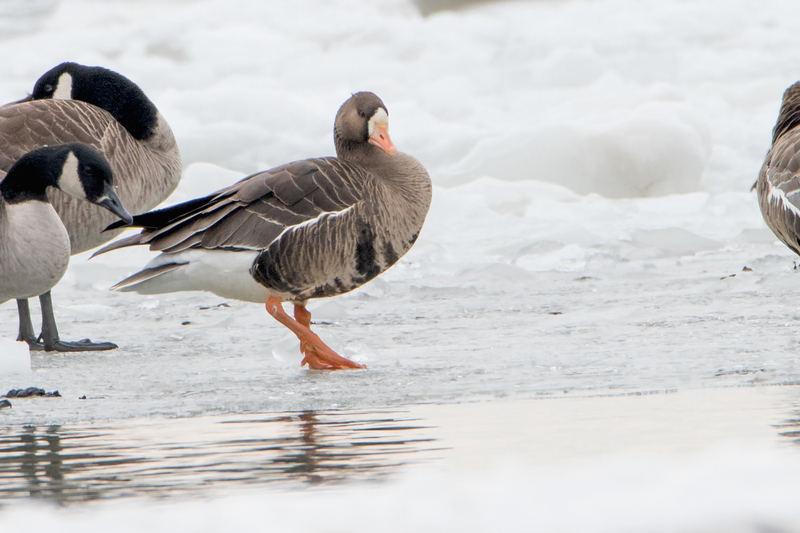 Dustin D and Walter Parker came across this nice mixed flock of Snow and Greater White-fronted Geese on the Niagara River at Miller's Creek in Fort Erie, Ontario on the 10th. Photo by Walter Parker. 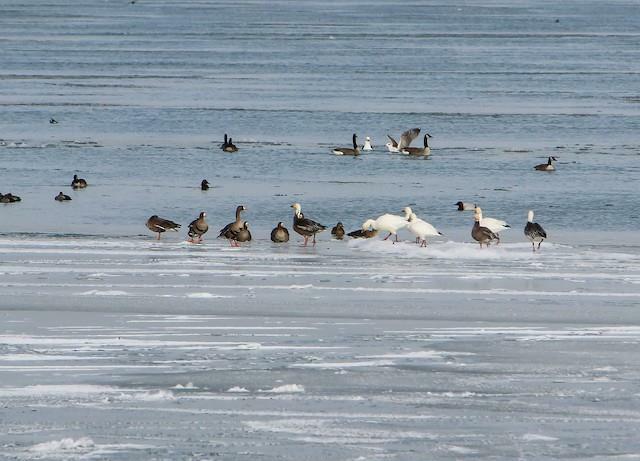 Kayo Roy caught up with the Snow Goose flock found earlier in the day on the 10th along the Niagara River in Fort Erie. 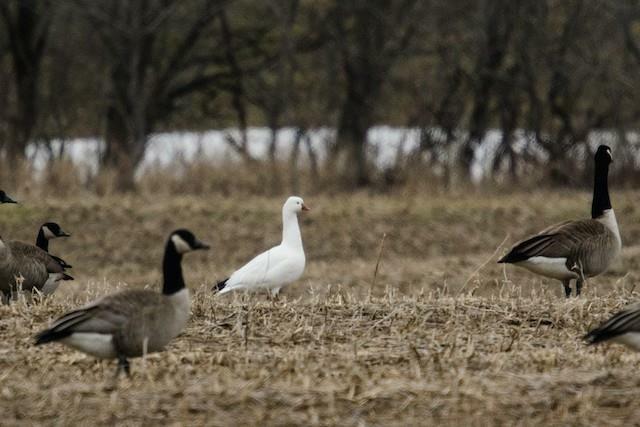 The Snow Goose flock consisted of both blue and white morph individuals. 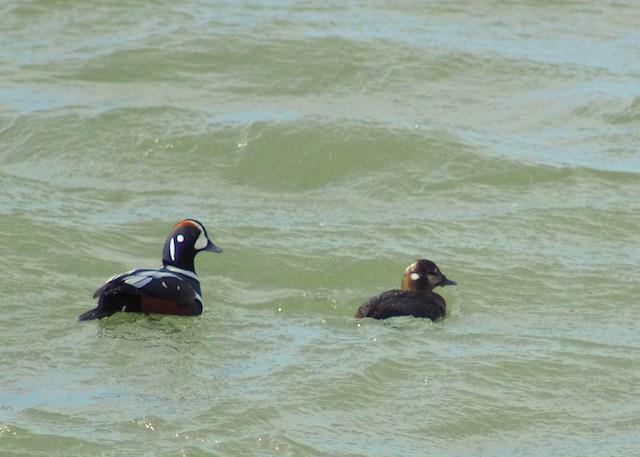 This stunning pair of Harlequin Ducks was photographed by David Rooke along the east pier at Port Weller, Niagara County, Ontario on the 9th. 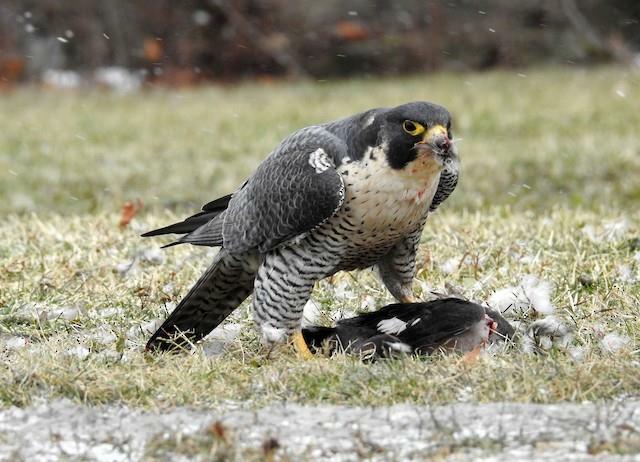 On the 9th, Kayo Roy photographed this alluring adult Peregrine Falcon feeding on a Bufflehead in Fort Erie, Ontario. 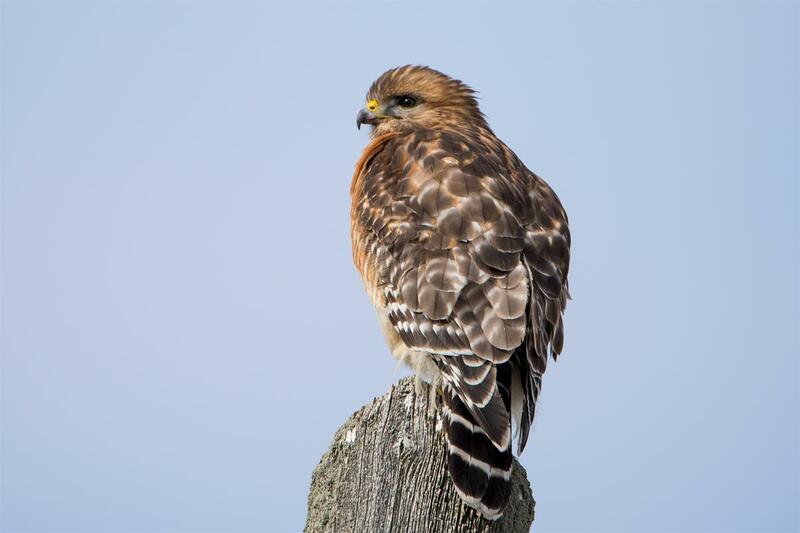 An adult Red-shouldered Hawk was seen surveying a field from atop a utility pole on the 16th. 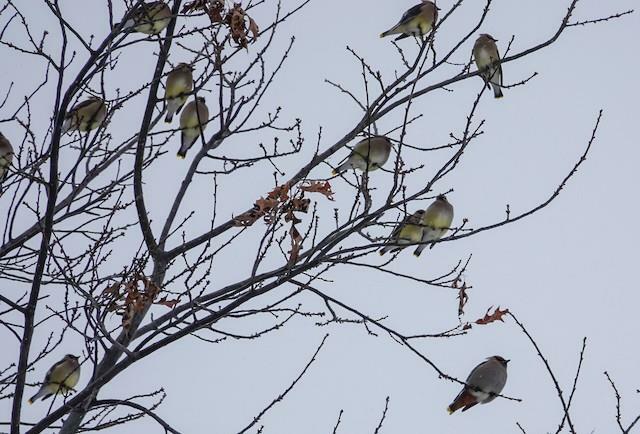 Bohemian Waxwing seen with a flock of over 100 Cedar Waxings in Fredonia on February 27th by Gale VerHague. This is a superb record for Chautauqua County! On the 15th, David Cooney photographed this beautiful male Eurasian Wigeon off the Celoron Boat Launch on Chautauqua Lake. 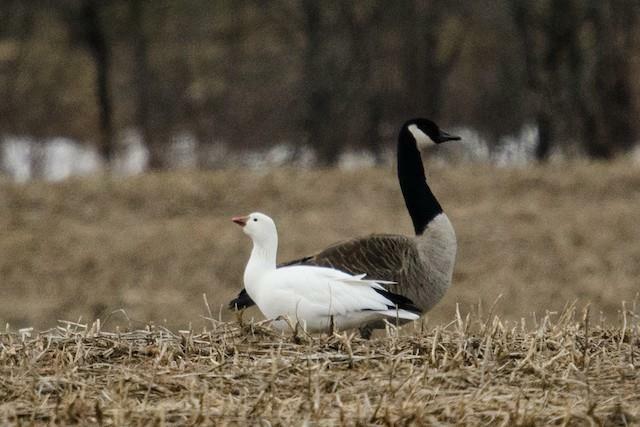 Ryan Griffiths came upon this Ross's Goose on the 23rd along Biggar Road, Niagara Falls, Ontario. The bird stayed into the next day. 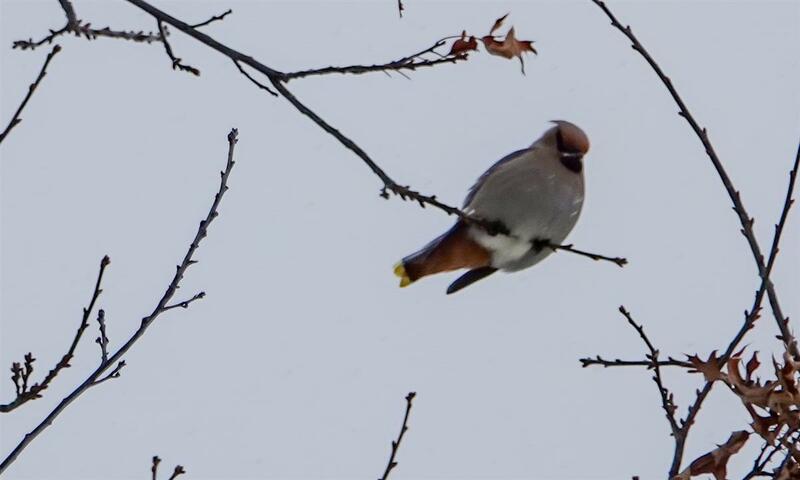 Another view of the Bohemian Waxwing mixed with Cedars in Chautauqua County on the 27th. Note the larger size and overall grayish color of the Bohemian. Excellent find by Gale VerHague! Not rare, but an uncommon sight...Paul Bigelow photographed 11(!) 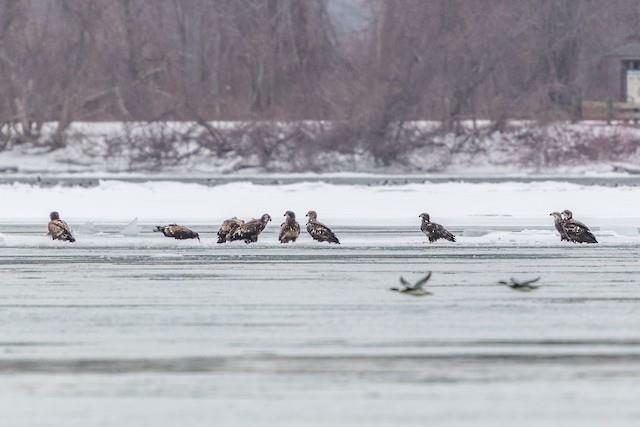 Bald Eagles on the Niagara River ice off Aqua Lane Park in Tonawanda on the 20th! 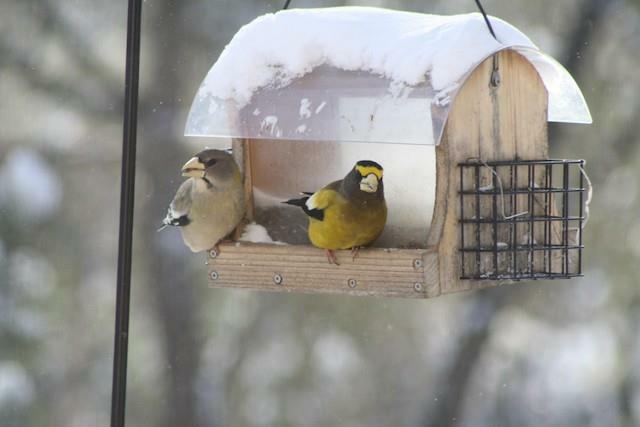 Evening Grosbeaks settled into a few Southerntier yards by February. A group of 12 frequented a feeder in Great Valley, NY. 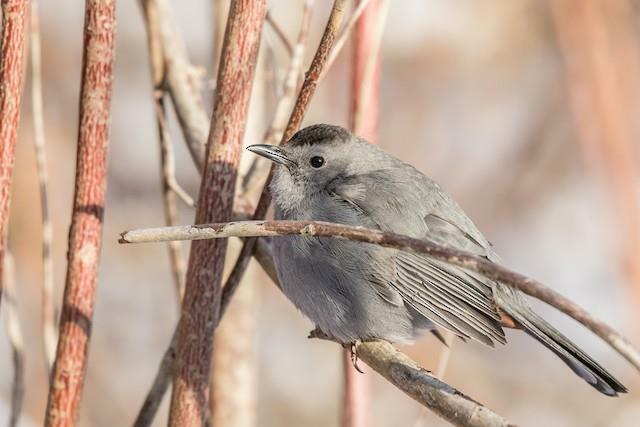 Paul Bigelow discovered this Gray Catbird back in mid November and the bird has successfully overwintered, thus far, at Reinstein Woods in Cheektowaga, NY. Paul took this photo on the 19th. 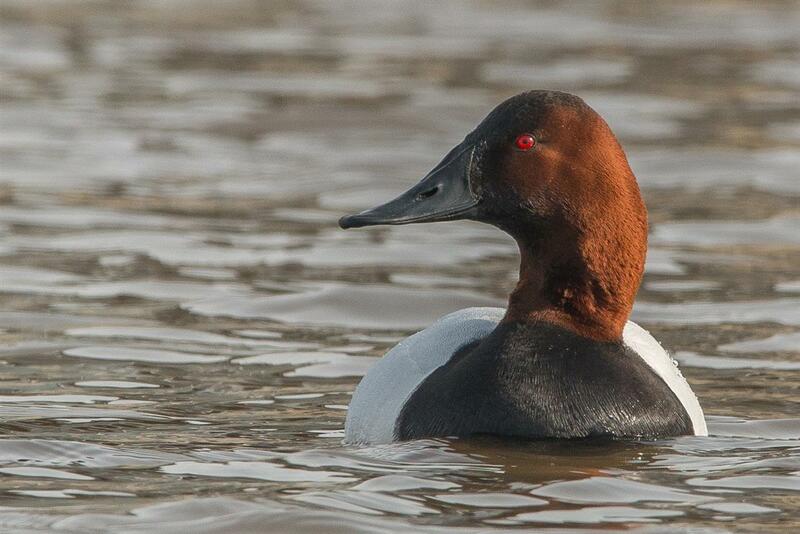 Andrew Garland photographed the male Barrow's Goldeneye at Pt. Breeze, Orleans County, NY on the 2nd. 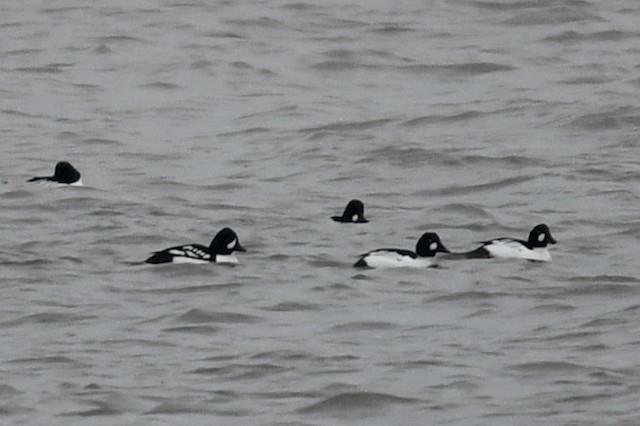 This is a great comparison shot showing the bird with Common Goldeneyes. 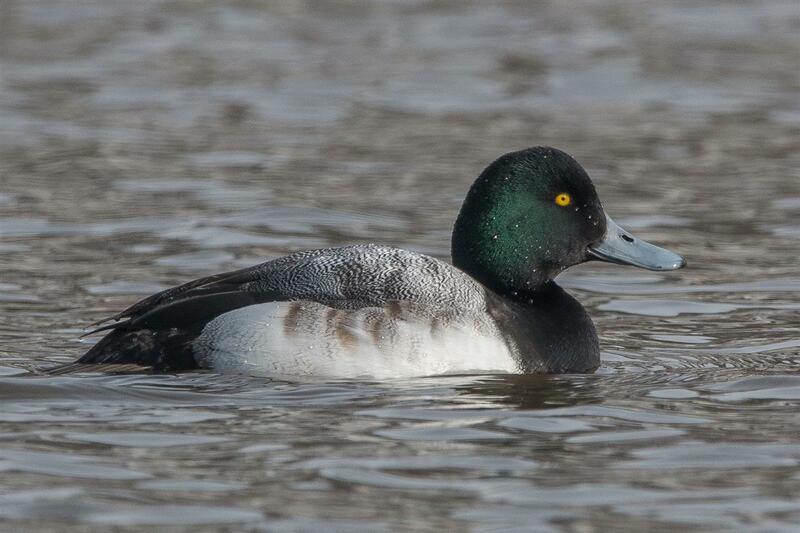 Kyle Brock caught up with the long-staying Barrow's Goldeneye at Point Breeze on the 10th. 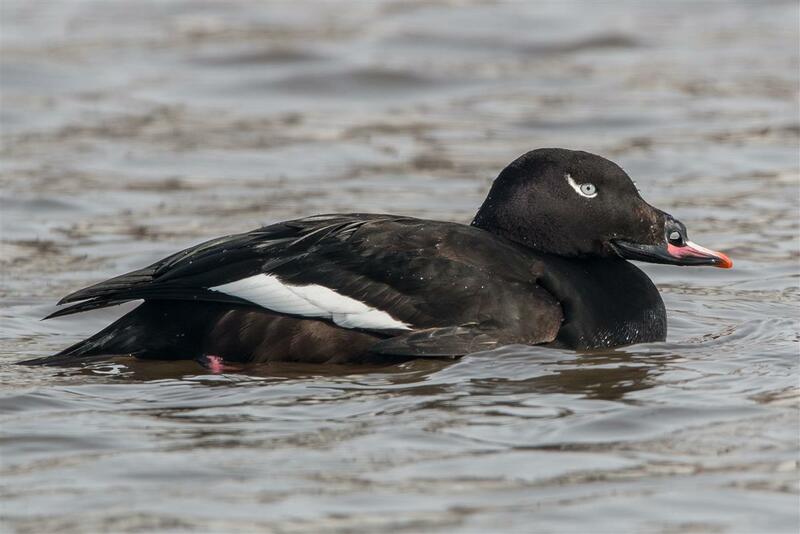 This bird was initially found by a RBA field trip on January 13th. Another photo by Griffiths of the Ross's Goose in Niagara Falls, Ontario on the 23rd. 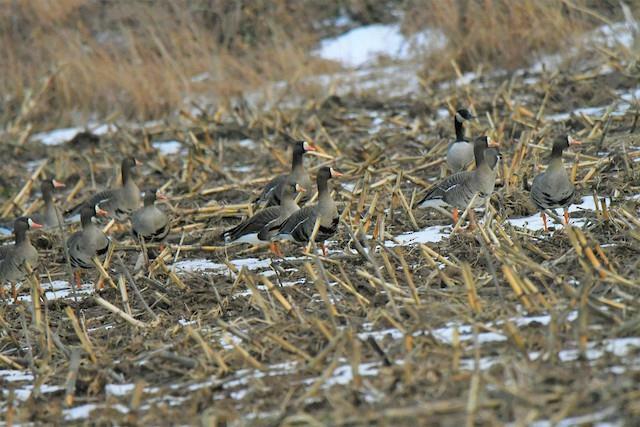 Christopher Goetz photographed this group (up to 45) of Greater White-fronted Geese at Point Breeze, Orleans County, NY on the 15th. 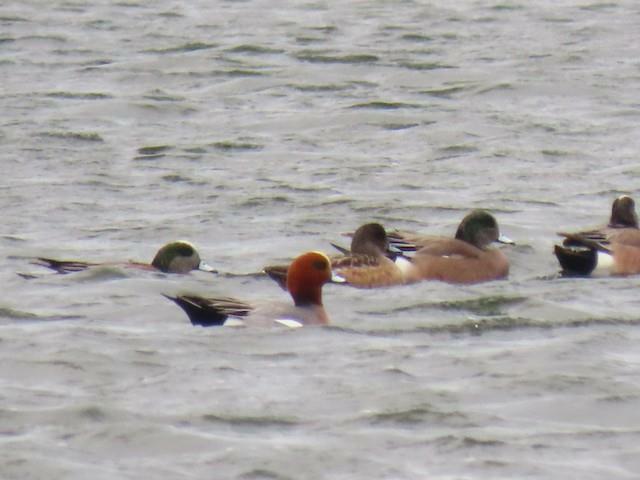 These birds were initially found by Andy Guthrie on the 10th and were last reported on the 23rd at this location. 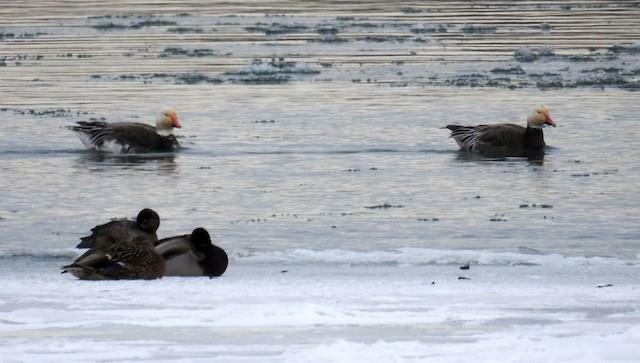 Bruce Hoover discovered a group of 4 Greater White-fronted Geese on Tonawanda Island on the 17th. 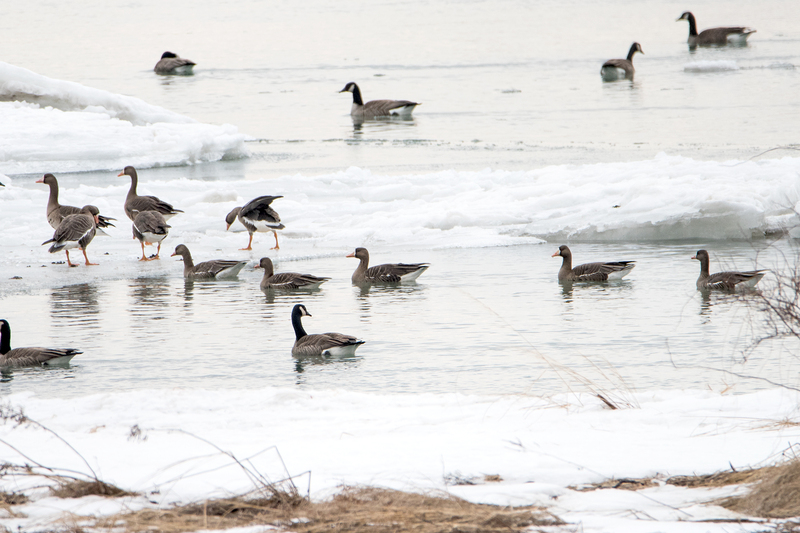 At Beaver Island SP on Grand Island, Sue Barth photographed a flock of 10 Greater White-fronted Geese on the 22nd! 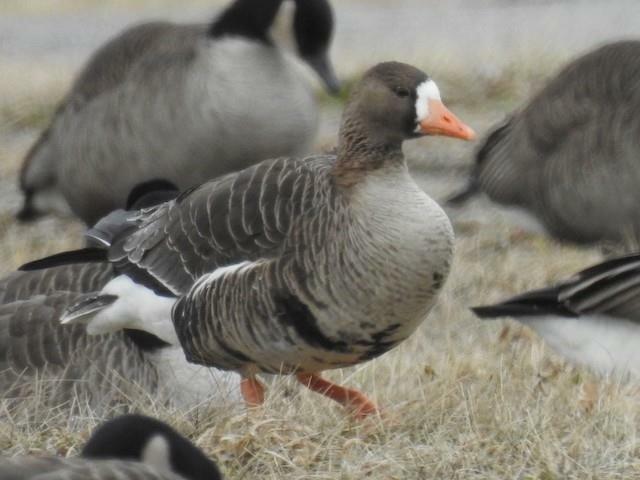 A nice profile by Sue Barth of one of the Beaver Island Greater White-fronted Geese on the 22nd. 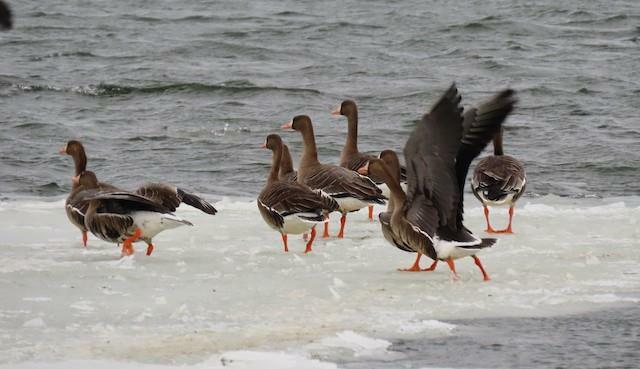 David Cooney caught up with the flock of Greater White-fronted Geese that Twan Leenders found on the 12th at the Celoron Boat Launch on Lake Chautauqua on the 15th. Up to 15 birds were seen here between the 12th and the 22nd. 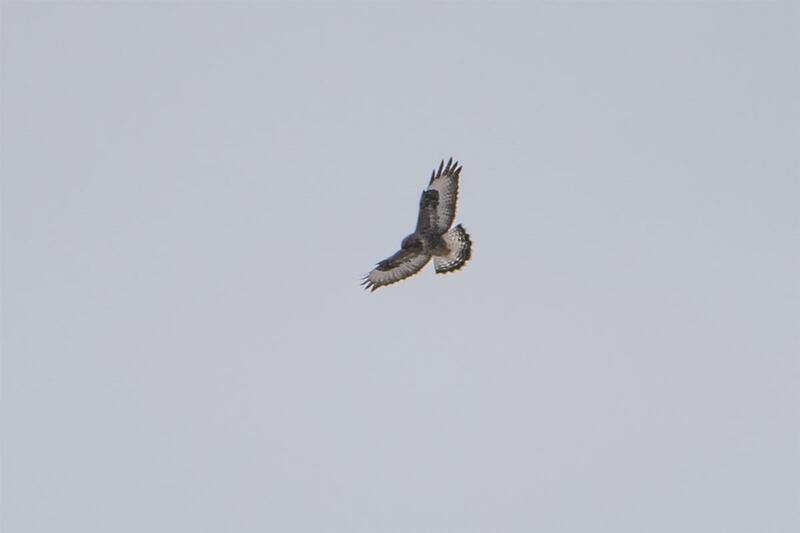 This dark morph Rough-legged Hawk was seen in Collins on the 16th. Here it is hovering over a farm field looking for prey.